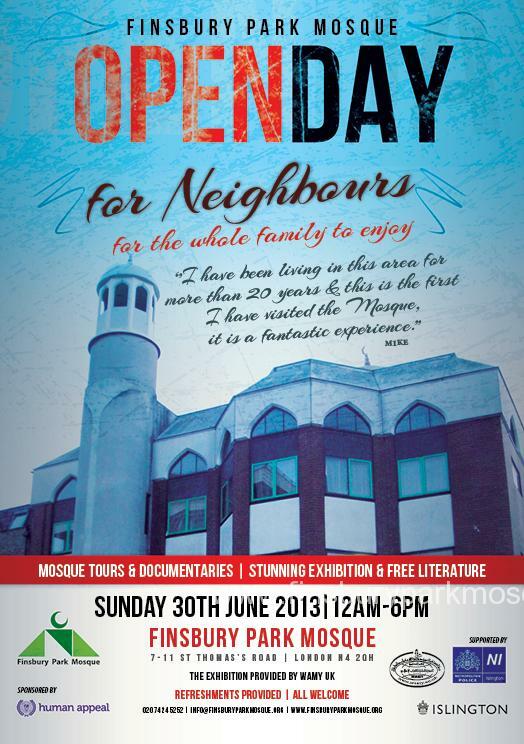 An exhibition organised by the World Association of Muslim Youth (WAMY) at the Finsbury Park Mosque on 30 June is being supported by the Islington Borough Council and the Metropolitan Police. WAMY is a youth organisation founded in 1972 and funded by the fundamentalist Saudi regime. It has been accused by various US government agencies and officials of having links to al-Qaeda and helping to spread Islamic extremism around the world. Law enforcement authorities in India and the Philippines say WAMY finances terrorism in their countries. Hamas leader Sheikh Ahmed Yassin has also thanked WAMY for its financial support. According to the Saudi Information Agency (an opposition group), religious literature published and promoted by WAMY “encourage[s] religious hatred and violence against Jews, Christians, Shi’a and Ashaari Muslims”. The Finsbury Park Mosque, which is hosting the WAMY-organised event, is the former mosque of jihadist agitator Abu Hamza. Thirty-five of the Guantanamo Bay terror suspects are known to have attended the mosque. Once Abu Hamza was removed from his position as Imam, the mosque was taken over by the Muslim Association of Britain, a Muslim Brotherhood front whose founder described the Israel-Palestinian conflict as “an absolute clash of civilisations; a satanic programme led by the Jews and those who support them, and a divine programme carried [out] by Hamas … and the Islamic peoples in general”. One of the Finsbury Park Mosque’s current trustees is Mohammed Sawalha, a fugitive Hamas commander whom the BBC reports is “said to have masterminded much of Hamas’s political and military strategy” from London. Stand for Peace strongly advises the Islington Borough Council and Metropolitan Police to withdraw their support from any and all events organised or hosted by such terror-connected and extremism-promoting institutions as the World Assembly of Muslim Youth and Finsbury Park Mosque.